Breaking news: Notre-Dame Cathedral in Paris has caught fire, with flames visible from the roof and firefighters attending the scene. Images have emerged showing the upper parts of the gothic cathedral engulfed by flames. According to witnesses, the roof and the 90-metre-high spire have completely collapsed. Paris mayor Anne Hidalgo has described it as “a terrible fire” on her Twitter page, and urged onlookers to respect the security boundaries in place while the fire brigade tackles the blaze. French president Emmanuel Macron has also made a statement on Twitter, describing the situation as “emotion of a whole nation”. “Thought for all Catholics and for all French. Like all our compatriots, I am sad tonight to see this part of us burn,” he said. The cause of the fire is unconfirmed, but officials told BBC News it might linked to renovation work. The historic cathedral was undergoing major works to fix large cracks and fissures, as well as to repair and replace damaged and destroyed gargoyles. The €150 million project was being partly funded by the French state, but the majority of funds were coming from private donors. The building, constructed in the 12th and 13th centuries, was considered one the world’s finest examples of gothic architecture, thanks to its pioneering use of rib vaults and flying buttresses, as well as its striking stained-glass rose windows. 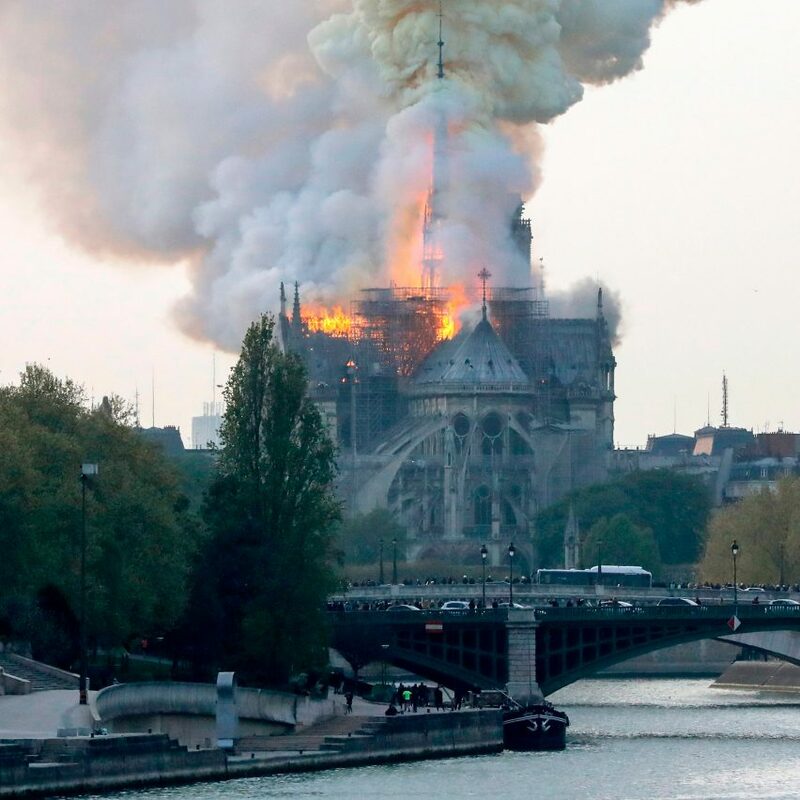 The post Huge fire breaks out at Notre-Dame Cathedral in Paris appeared first on Dezeen.